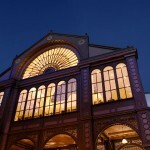 Roast is situated in one of the most prominent places in Borough Market – the Floral Hall. This amazing location means guests have a stunning place to dine, whether for breakfast, or for dinner. 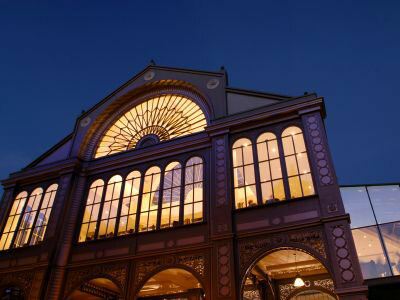 The large glass structure gives an amazing view over the market below, but leaves behind the hustle and bustle of the market for a refined dining experience. 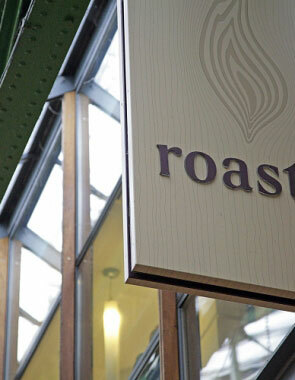 To enter Roast, you must either climb the 4 flights of stairs, or take the lift up to the first floor. Once there, a large bar welcomes you, with an array of inventive and well-made cocktails. 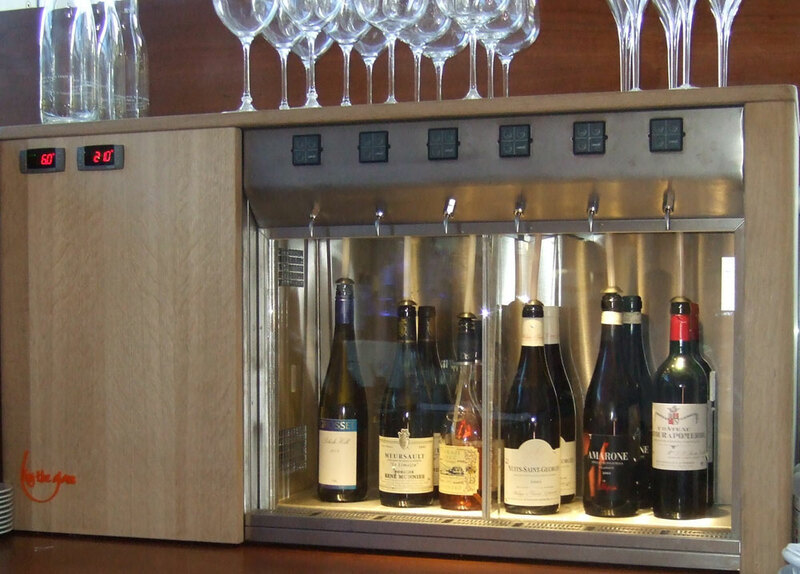 The drinks list is extensive, and has been put together with care and attention to make sure there is something for every palate, from the discerning wine drinker, to the cocktail fan who fancies trying something that little bit different. 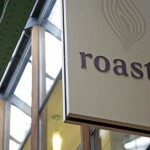 Roast sources its meat from the market below, meaning the quality on offer is outstanding. There’s a regular changing menu, due to the fact that the chef takes advantage of what is on offer seasonally, and with such good produce available, it would be crazy not to do this! 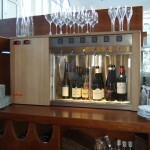 The system in Roast is a 6-bottle dual temperature one. The unique feature of this one is that it is wood-clad, to fit in with the surroundings at the restaurant. 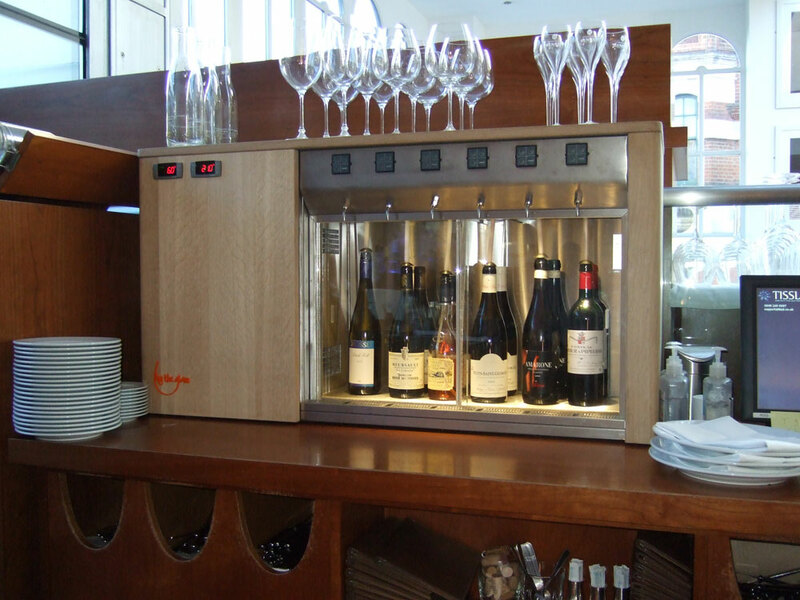 The system enables the restaurant to offer a selection of high end wines, both reds, whites and a dessert wine, to customers. 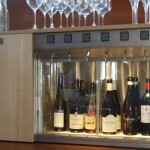 It’s fantastic, will make my life a lot easier… wish we’d got a 10 bottle instead!